A 1961 graduate of Fordham University and a Rhodes Scholar, Father Daley studied classics, philosophy and ancient history at Merton College, University of Oxford, where he earned a master’s degree before entering the Society of Jesus in 1964 and being ordained a priest in 1970. 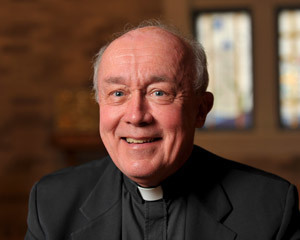 He returned to Oxford in 1972, earned a doctoral degree in theology in 1978 and taught at the Weston Jesuit School of Theology in Cambridge, Mass., for 18 years before coming to Notre Dame. Originally published by Michael O. Garvey at news.nd.edu on May 06, 2013.